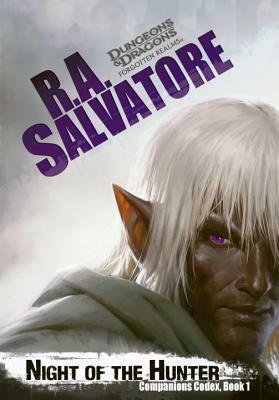 R.A. Salvatore has exceeded reasonable expectations with this episode in the continuing saga of Drizzt Do’Urden – gifting fantasy fans with a page-turning sword and sorcery adventure that is full of swashbuckling action, shadowy intrigue, and amazing character development. Honestly, this new and improved version of the Companions of the Hall is a compelling read and might be the beginning of a renaissance for The Legend of Drizzt Do’Urden, breathing fresh life into old characters who have been desperately missed by the dark elf as well as by his many fans. As frequent readers will already know, in The Companions, Mr. Salvatore resurrected Drizzt’s old friends, The Companions of the Hall, but did not raise them from the grave. Instead, Bruenor, Catt-brie, Regis, and Wulfgar were reborn into the world as newborn babies. Unlike normal children, however, these four retained all of their memories from their past life and were fully aware of who they were the moment they opened their eyes. From this point, Mr. Salvatore did an outstanding job of weaving an intriguing tale of the first twenty-one years of Bruenor, Catt-brie, and Regis’ lives as they grew to adulthood, developed new talents and slowly evolved into similar yet different people. But no matter their new personas, each of the Companions inevitably wove their way through life and its innumerable obstacles to met again in Icewind Dale on a certain day at a certain spot when their old companion Drizzt was in desperate need of their assistance. Night of the Hunter picks up immediately after the events in The Companions. Now reunited, the Companions of the Hall must see if their former friendship has survived Bruenor, Catt-brie, Regis, and Wulfgar’s resurrection. Naturally, there are issues. A second chance at life has changed Drizzt’s old friends in many ways. Things that they once agreed upon so easily are now objects of contention. Internal struggles ensue, as Bruenor and Catt-brie decide that their goddess-given rebirth is an opportunity for them to rectify previous mistakes. Mistakes that Drizzt himself still views as the proper course, and so the dark elf finds himself being forced to look long and hard at whether many of his dearly held truths about life might be wrong, and quickly, it begins to look like these old friends could split apart over what their new mission in the world should be. Before things get too heated, however, one task is mentioned that all can agree upon: the rescue of their old friend Thibbledorf Pwent from his haunted existence as a vampire in the halls of ancient Gauntlygrim, and so our heroes head out into the world for a new adventure. Their differences set aside for the moment – but not forgotten. From this point, the story divides off into several different plots and main characters. Naturally, the primary story line follows Drizzt and the Companions as they travel the lands, heading for Gauntlygrim and then arriving, but substantial portions of the book are also given over to Drizzt’s former band of adventurers (headed now by Artemis Entreri and Dahlia) as well as the drow, specifically the activities of Matron Mother Baenre. And for the remainder of the novel, Mr. Salvatore shifts perspective from one group to another, spinning an ambitious tale of reunion (The Companions), lose (Entreri/Dahlia’s group), and machination (The drow). With all three stories going on at once, a reader is hard pressed to keep everything straight in his mind, but Mr. Salvatore has always had a knack for juggling numerous plot threads, and he does an admirable job here of having each cast of characters act independently but keep their stories intertwined just enough that they all are obviously moving toward a dramatic collision. Overall, this book was an action-packed, sword and sorcery adventure tale that mixed in enough character interaction and diabolical, drow intrigue to keep my attention. My only criticism – minor though it will sound – is that there is so much going on in Night of the Hunter that much of the plot seemed a bit rushed, as if Mr. Salvatore could have easily added in another volume to this latest chapter in Drizzt’s story. Other than this one issue though, I highly recommend this novel to all Drizzt fans or lovers of entertaining sword and sorcery tales, and while the promised climax of the story does not occur in Night of the Hunter, it is set up very nicely, leaving a Drizzt fan salivating for the promised war between drow, orcs, dwarves, and elves that is sure to follow in succeeding novels. 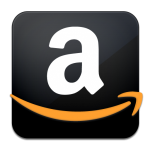 I received this book from Netgalley and the publisher in exchange for a fair and honest review. I’d like to thank Netgalley and Wizards of the Coast for allowing me to receive this review copy and inform everyone that the review you have read is my opinion alone. This entry was posted in Drizzt, Fantasy, Forgotten Realms, High, Swashbuckling, Sword and Sorcery and tagged Companions Codex, Drizzt Do'Urden, Night of the Hunter, R. A. Salvatore, sword and sorcery, The Companions, the Companions of the Hall, The Legends of Drizzt Do'Urden. Bookmark the permalink.